From its beginnings the Church of Scientology has recognized that freedom of religion is a fundamental human right. In a world where conflicts are often traceable to intolerance of others’ religious beliefs and practices, the Church has, for more than fifty years, made the preservation of religious liberty an overriding concern. 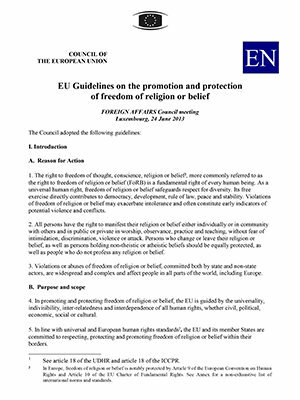 A vital component to preserving this fundamental human right is an understanding of the right to freedom of religion or belief and its meaning under universal human rights principles and international human rights law. 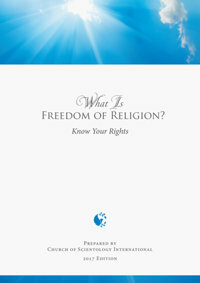 In this regard, a new Church of Scientology booklet, What is Freedom of Religion?, is designed to inform the public regarding the detailed and complex nature of the right to freedom of religion for believers and religious organizations of every faith. From persecution of religious minorities to issues revolving around religious worship, beliefs, rites, expression, association, dress, symbols, education, registration and workplace discrimination, religious freedom issues have achieved a prominent place in global headlines. Yet many do not understand what rights fall within the scope of freedom of religion or belief or what the term really means. What is Freedom of Religion? 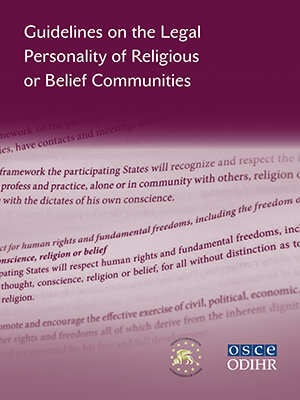 The precise human rights standards regarding freedom of religion are detailed in international human rights treaties, including the Universal Declaration of Human Rights, the International Covenant on Civil and Political Rights, the European Convention for the Protection of Human Rights and Fundamental Freedoms, the UN Declaration on the Elimination of All Forms of Intolerance and of Discrimination Based on Religion or Belief, the Helsinki Final Act, the Vienna Document, OSCE Guidelines on the Legal Personality of Religious Communities and Legislation Pertaining to Religion, and European Union Guidelines on the Promotion and Protection of Freedom of Religion. These affirmations arise out of the Church’s own experiences as well as its observations of the hardships faced by other religious organizations throughout history. Today the governments of many nations have officially recognized Scientology as a religion. Its religious nature has been confirmed in hundreds of judicial and administrative decisions in countries all over the world. It was not always so. In its early days the Church of Scientology earned the ferocious enmity of vested interests who perceived the emergence of a new religion offering solutions to life’s problems as somehow a threat to their own operations. Thus the Church had to fight to win its right to religious liberty. In so doing, the Church has upheld the rights of all religions and its victories have blazed a path that others have been able to follow. On 11 December 2013, the Supreme Court of the United Kingdom issued a unanimous, landmark ruling declaring that the Chapel at the London Church of Scientology must be recognized as a place of religious worship under UK law. Church of Scientology International (CSI)—the Mother Church of the Scientology religion—and more than 150 affiliated Churches, missions and social-reform organizations in the United States were recognized as fully tax-exempt religious organizations by the Internal Revenue Service (IRS), America’s federal tax agency, in October 1993. 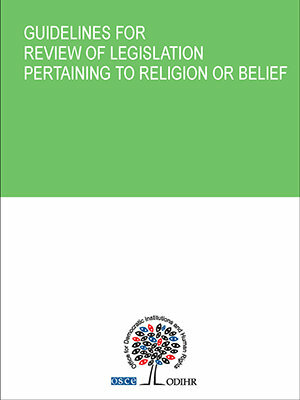 The Australian High Court’s decision regarding the Scientology religion in Church of the New Faith v. Commissioner of Payroll Tax (1983) is recognized as a landmark legal decision, establishing the standard for the definition of religion and religious charities in both Australia and New Zealand, and, indeed, throughout the Commonwealth of Nations. In this age of intercontinental travel and instantaneous international communications, multicultural and multireligious societies must be our destiny. Religious, racial and ethnic groups need to learn to respect one another and to live in peace and friendship. Where division occurs, it is the role of religious organizations to step in to help bridge the barriers and resolve the conflict. It is a responsibility that the Church of Scientology takes seriously and has endeavored to fulfill since its inception. 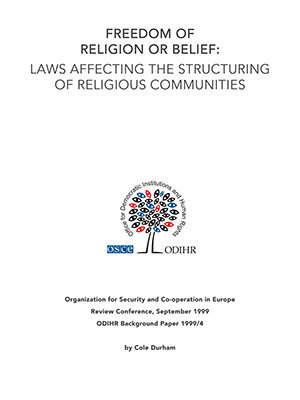 Below is a summary of the international human rights standards regarding freedom of religion as articulated in publications from the Organization for Security and Co-operation in Europe (OSCE), the European Union Parliament and the United States Commission on International Religious Freedom. Scientology and the Scientology symbol are trademarks and service marks owned by the Religious Technology Center and are used with its permission. Sign me up for News.